With the critic and box office results coming in for Suicide Squad, it's very clear that Warner Bros. has to do something drastic. Anything! Unless of course they want to just halt their accelerated cinematic universe before it even begins. Outside of the Christopher Nolan Batman movies, it's almost as if Warner Bros. doesn't know how to do comic book movies. Sure, $668 million worldwide for Man of Steel sounds good, and so does $872.7 million for BvS. That's a lot of money but it's not THAT much for what should be billion dollar earners in this day and age (This is Batman and Superman for crying out loud!). That's clearly what WB was aiming for and they haven't been able to achieve that since The Dark Knight Rises. Suicide Squad is sitting on a 41 metascore right now and word of mouth from what I'm hearing isn't good. Like Batman v Superman, it's looking like the opening weekend will be huge before quickly returning to earth during the rest of its run. There is now a lot on the line for Wonder Woman after two huge disappointments for Warner Bros. Box office report: Like we've seen with Batman v Superman: Dawn of Justice, critic reviews don't always get in the way of opening weekends and that's how things have shaped up for Suicide Squad which opened up to a record-breaking $135.1 million, becoming the largest opening for a movie debuting in August (Guardians of the Galaxy had it before with $94.3 million). Critic reviews and the negative word of mouth that's already started will most likely have a big effect on next weekend, but we'll have to see. BvS dropped 70% in its second week. Is SS destined to repeat? Moving on, Jason Bourne earned $22 million in its second weekend which represents a drop of 62%. While that's not necessarily terrific, JB will certainly be profitable as its domestic total is not far from matching the budget costs. Bad Moms added another $14.2 million and that's a big success of margins for STX. The other newcomer of the weekend? Sorry, easy to forget as Nine Lives quietly earned a mere $6.5 million. Yesterday was Arnold Schwarzenegger's 69th birthday, so I suppose I'd like to just express how much I appreciate what the Austrian Oak's done for the movie industry as a whole. Sure it might seem silly to heap praise upon an action movie hero like Arnold, but I can think of few actors who have brought as much entertainment as he has in his career. I've seen 36 of his movies at this point and so many of those are among the most rewatchable movies ever made. Even his bad movies are entertaining. To this day, it still amazes me that Arnold Schwarzenegger came from nothing. He could barely speak English when he arrived in the US, but that didn't stop him. Nothing has stopped Arnold from becoming the motivational tool on two feet that he is today. He inspired me to get fit and be healthy. He's inspired me to live life how I want and I hope he has many more movies up his sleeve because his presence in anything is always worthwhile. Some Arnold wisdom: "I know that if you leave dishes in the sink, they get sticky and hard to wash the next day." Box office report: People still love Bourne if the opening weekend of Jason Bourne is any indication. $60 million is a pretty good opening and it's nice to finally see a bit of competition for Disney outside of animation. The $120 million budget isn't too high, but judging from all the posters I've seen everywhere the marketing budget was pretty expensive for Jason Bourne so it's definitely not over yet. Second place went to holdover Star Trek Beyond which managed $24 million, making that a 60% drop from last weekend. STB now stands at around $105 million which isn't that encouraging given the $185 million budget. Definitely needs that international money bad. Bad Moms actually did very well for itself though with $23.4 million on a budget of $20 million. In the end, French director/producer Luc Besson has been found guilty of plagiarizing John Carpenter's Escape from New York with his 2012 action/sci-fi flick Lockout. @Yahoo! Video of the week: James Bond has a pretty colourful past when it comes to being sexist and at times even plain creepy. Besides the fact that it's been Comic-Con all day, every day since Thursday, the big news that I've seen is that there's going to be another Blair Witch movie. In the style of being suddenly revealed as a sequel à la 10 Cloverfield Lane, The Woods was revealed to be a stealth sequel to The Blair Witch Project (1999) and I'm pretty sure it'll be pretending that The Book of Shadows doesn't exist. Looks like this will become a new marketing tool to drum up interest, but most interesting to me is the talent attached to Blair Witch. Original creators Daniel Myrick and Eduardo Sánchez seem to be long gone, but we get Adam Wingard as director and Simon Barrett as writer. Known for their work on You're Next and The Guest, this has me pretty hopeful. I'll be honest, I watched the trailer (I'll include it after the jump) and I wasn't that impressed. I'm hoping that this is just due to the fact that it's a trailer and I'll leave judgement until I actually see the movie. Key hope: we never see the "Blair witch" and I really hope that Wingard can mess around with our imaginations. Box office report: Blasting itself into first place for the weekend was Star Trek Beyond with a pretty good $59.6 million. That's lower than the previous two "reboot" movies and it's not really a stupendous number given the $185 million budget (plus all the marketing). The international market really needs to come through here for Paramount. Second place goes to The Secret Life of Pets which is now in its third week of release. $29.3 million is welcome and the film has now grossed over $300 million worldwide. Number three with a huge $21.6 is Lights Out. Huge? With a budget of only $5 million you bet it's huge. Fourth place goes to Ice Age: Collision Course which earned $21 million. That's not a good number in any sense, but I doubt Fox is too worried given that the Ice Age movies do incredible business outside North America. I was wrong. I really did think that Paul Feig's Ghostbusters was going to flop. Miserably to be exact. I know I'm not the only one either. I suppose it's proof that no matter how many keyboard warriors you have disliking trailers and saying a movie is going to fail, a movie can still succeed. It also helps when the original movie is a nostalgic power ballad to the 80's. Saying that Ghostbusters is a success is maybe a bit overgenerous. After all, it only made $46 million and on a budget of $144 million and it still has quite a ways to go when you factor in marketing and distribution costs. I read somewhere that $500 million worldwide is the threshold for breaking even and I have a hard time believing that this female-led reboot can manage that. It got beaten by The Secret Life of Pets which is in its second week and the nostalgia of Ghostbusters probably doesn't extend beyond the the west. Still, I suppose this is a minor victory for those saying that sexists are responsible for all the hate that Ghostbusters was getting online (even the marketing department for the movie was using that as a crutch). Let them celebrate I say. I unfortunately don't think it's going to lead to any meaningful changes in Hollywood regarding female actors getting the reigns for major motion pictures, as much as people are hoping that it will. I'm still not cool with taking a pre-established franchise and replacing all the male characters with female ones. It just feel, unorganic if you know what I mean. What we all need is more Bridesmaids and less female-reboot Ocean's 11. That's my .02 cents anyway. Box office report: The Secret Life of Pets continued its parade to a $50.6 million second weekend. That's a drop of only 51.5% and that's in addition to stellar overseas numbers. Number two for this weekend went to newcomer Ghostbusters which earned $46 million. While that's not as low as haters wanted or as high as Sony would've wanted, there's no doubt that it's going to have to find some long legs to carry it to profitability. There's already talk of multiple sequels, but that strikes me as a desperate plea to get audiences to go see the movie. The Legend of Tarzan in third place dropped to $11.1 million and Finding Dory was right behind at $11 million. In terms of limited releases, Woody Allen's Cafe Society just achieved the highest per-screen average of the year: $71,000. That's from five theatres with a total of $335,000. It'll remain to be seen if that buzz can translate to higher earnings when it opens to more screens. Video of the week: Watching the Star Trek Beyond trailer in "tri-screen format." Pretty cool honestly. 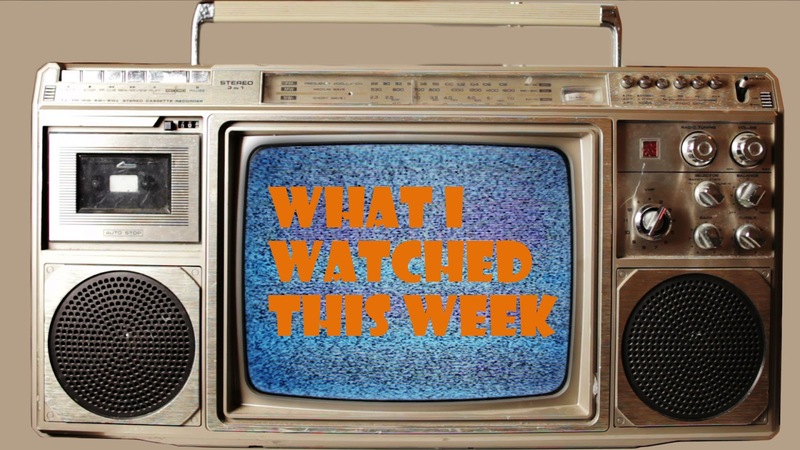 Although I wish I could watch 12 movies every week, things settled back down this week to a more comfortable 7. In reality I suppose it's 5 movies since 2 of them are short films, but who cares? Anyhow, it was an interesting week of two different movies; Catwoman and Dune. What do they have to do with each other you ask? Well both were critical and commercial flops. Dune only managed $31 million on a budget of $40 million and was famously hated on pretty hard by Roger Ebert. 20 years later, Catwoman thudded with only $40 million ($82 million worldwide) on a budget of $100 million. I don't need to go into how it did with the critics or audiences. Point is, it's always interesting to see where movies end up, ~10, ~20 or ~30 years later. Catwoman is maybe a bad example to compare with Dune since there will never be any hope of it becoming a cult classic (right?). But let's say something like Only God Forgives. I could see that becoming a cult classic down the line. Crazy to think that a movie like 2001: A Space Odyssey was once hated by critics when it first came out and is now hailed as a masterpiece. Or that a movie like The Shawshank Redemption is now an audience darling after barely scraping into the black in 1994. Goes to show that you never know what can happen down the line. Box office report: Movie over Dory, there's a new cat in town and it's The Secret Life of Pets which opened to an amazing $103.2 million. Crazy thing here is that the budget for the film is a scant $75 million, way less than the typical blockbuster animation and it should make Illumination/Universal very happy. Finding Dory floated to $20.4 million this week but became the highest domestic grosser of the year so far, so there's little reason to be disappointed. The Legend of Tarzan slid under 50% to $20.6 million for its second week and that's really not too bad honestly for a movie said to be the next big summer flop. It still has a long way to go before profitability but Warner Bros. must be feeling slightly relieved. Besides Pets, the other newcomer Mike and Dave Need Wedding Dates finished in fourth place with $16.6 million on a budget of $33 million. Video of the week:With all the unrest going on in the United States, Spike Lee's Do the Right Thing seems extremely relevant at the moment. With last week having been a bit light on the number of movies watched, I made sure to make up for lost time. I guess I went a bit crazy because 12 movies in a week is kind of a lot. But let's be real, a lot of what I saw this week was on the shorter side. Only 7 of the movies I watched are 90+ minutes, so that's actually pretty fair. A movie a day right? Still, my Tuesday with 4 movies watched is a little surreal. Especially when one of them is VeggieTales: Live! Sing Yourself Silly (which came close to ruining my life) is one of them. Anyhow, the summer months do make it a little more difficult for me to get a lot of movies in since as a Canadian, I have a moral obligation to take advantage of the good weather as much as I can before it's winter again. There's just something very satisfying about sitting in a dark living room with a movie playing while the cold snowy winds are a long forgotten memory. The summer is all about blockbuster movies in air conditioned cinemas and it's too bad Hollywood just mailed it in this year. Box office report: Finding Dory had no trouble with the new releases this past weekend and added a strong $41.9 million in its third weekend. Looking very likely that it'll pass Toy Story 3 as the highest domestic grossing film out of Pixar. The Legend of Tarzan unfortunately only managed $38.1 million for its opening and that's not going to be too good for the film's bottom line which has a budget of $180 million. Warner Brothers better hope that international audiences come out. The Purge: Election Year was a big success due to his micro-budget of only $10 million. $30.9 million is a great take and Blumhouse (Insidious, Paranormal Activity) has no reason to change their business plan. Surprisingly though, Steven Spielberg is the big loser of the weekend as his newest adventure film The BFG failed to ignite audiences, earning a paltry $19.6 million. It's also a second and rare failure for Disney after Alice Through the Looking Glass from earlier this season. The summer of 2016 hasn't been that great for poor 'ol Hollywood. Sequels have been bombing left, right and center, leaving only a few movies collecting all the summer riches such as Captain America: Civil War, The Jungle Book and right now Finding Dory (see a pattern?). Looking at myself, I feel like I'm sort of representative of all this summer movie apathy. I love movies and going to the cinema to watch them on the big screen, but there's been barely anything that's made me want to go out and spend my money. The last movie I saw was The Jungle Book, but there's really nothing else that's screamed "GO SEE THIS!" Maybe I'll go see the new Bourne movie? Maybe Suicide Squad? Honestly I don't even know because when I go see a movie in theatres, I want to be practically assured of satisfaction and that's seemingly been in short supply this summer with so many movies getting bad reviews. Warcraft? Yeah I'll wait to see it on video. Same goes for the X-Men movie and Independence Day: Resurgence. The summer of 2017 is shaping up to be way more interesting. Fast 8, Pirates of the Caribbean: Dead Men Tell No Tales, Bad Boys III, Wonder Woman, The Mummy, War for the Planet of the Apes and way way more. It's almost as if next summer is going to be too cramped. In the meantime, I got things I can do at home. Looks like those five 2-for-1 codes I got for movie tickets are going to expire unused June 30th and I can't bring myself to even care a little bit. Box office report: Finding Dory topped the box office this weekend and I'm pretty sure that even somebody with no hands could count on their fingers how many people were surprised. $73.2 million proves that people love talking fish and it'll continue Pixar's current practice of harvesting all its older properties with sequels. Independence Day: Resurgence wasn't quite as lucky with only $41.6 million. That's actually less than the $50.2 million the original opened to and it only had a budget of $75 million compared to the $165 million of this one. Fox better hope that the international markets perform well. Central Intelligence added another $18.4 million and Sony's shark film The Shallows made $16.7 million, almost equaling its budget of $17 million which is a welcome victory for the struggling studio. Video of the week: Every Johnnie To movie is worth a look, so here's the trailer for his upcoming film Three. Today's Father's Day and if there's one thing that's true about movies is that there are loads of great fathers throughout cinematic history. Yes, there are loads of bad ones too, but I almost feel as if cinema has explored the concept of fatherhood a lot than it has motherhood. I could be wrong here and be getting caught up in the Father's Day groove, but I'm not about to do a month-long study into the issue. My favourite cinematic father? For me it's probably Henry Jones, the father of Indiana Jones and played by Sean Connery. OK, so the character's been a bit of deadbeat father for some time, but going on an awesome archaeological adventure together seems like a fair trade off to me. Connery was just a runaway success in the role of Henry and I wish we could've gotten more of him somehow. Crazy to think that Harrison Ford was older than Connery in Kingdom of the Crystal Skull and still in the starring role. He'll be far older in the next installment. From Darth Vader (Star Wars) to Bryan Mills (Taken) to Jim's Dad (American Pie) to Mufasa (Lion King), father's are an important part of movies as they are in real life. Be sure to tell them that today. Box office report: Quickly making up for the rare flub that was Alice Through the Looking Glass, Pixar's Finding Dory earned a mighty $136.2 million this weekend. It now holds the record for the highest grossing opening for an animated film, taking the crown from the uh, slightly undeserving Shrek the Third which made $121.6 million back nine years ago. It was a good weekend for newcomers as Central Intelligence banking heavily on Dwayne Johnson and Kevin Hart made $34.5 million. Pretty good for a movie with a $50 million budget. The Conjuring 2 finds itself in third with $15.6 million and now sits at $71.7 million domestically. Now You See Me 2 and Warcraft split the scraps. And to finish off with a very bizarre piece of news, Brendan Fraser will be plying his craft over in Bollywood as the villain of the upcoming film The Field. Alimony isn't going to pay itself I guess. Video of the week: Arnold Schwarznegger trumps all. I'm pretty encouraged about what I'm hearing about the new Predator movie that's due out in 2018. We're a long way off from knowing if it'll actually be good, but director/writer Shane Black is definitely saying the right things. It's hardly an original or unique thing to be pumping out yet another movie set in the Predator world. What's to make this one genuinely good? We already have six movies if we include the AVP movies (wish we didn't have to) and nothing has come close to matching what the original Predator was able to do. I think the key factor that this new Predator movie needs is the ability to stand on its own two feet. That's why I actually didn't mind Predators that much. Sure it wasn't executed all that well, but it did have a pretty original set up. Nothing will sink this new movie faster than inserting a bunch of callbacks to the original movie. Star Wars: The Force Awakens can manage it because it's freakin' Star Wars, but this is Predator and it's time to bring that fear of being watched in the jungle back again. If anyone knows that, it's Shane Black. The guy was there. Box office report: Some good news for Hollywood at last with The Conjuring 2 scaring up some good business over the weekend. With $40.5 million, that's only a tiny bit less than the original made in the summer of 2013 and it equals the film's production budget. Prepare for The Conjuring 3. At number two we find Warcraft which managed $24.4 million which quite honestly is a disaster given the film's $160 million budget. It's been released overseas for a couple of weeks though and that's actually been very beneficial, especially the $144.7 million it has gotten from China so far. At number three we got Now You See Me 2 which added Daniel Radcliffe to its star-studded cast and it earned $29.4. That's actually a smidge more than what Now You See Me did, but Lionsgate did spend an additional $15 million on this sequel, so they're going to have to make up the difference somewhere. Video of the week:I seriously didn't remember the opening credits to Friday the 13th Part III being this cheesy/80's. Disney has had its first misstep in some time with Alice Through the Looking Glass and so here we are with everybody jumping to the conclusion that Hollywood is dying and everything is flopping left, right and center. Right. It's true that there seem to be way more flops than there used to. I'm not going to go compile a bunch of box office data and prove that right or wrong, but it doesn't take much to remember movies like Gods of Egypt, Allegiant or Zoolander 2. There are many other examples and on the flipside, it's only a select handful of movies that are collecting all the box office dough like Star Wars and Captain America. THIS is what truly concerns me. I like Star Wars as much as the next guy, but if all we're going to get are save, risk-adverse tentpoles than we're in trouble. It's stuff like this that leads to filmmakers like David Cronenberg going into retirement because he can't get financing for his projects. Different and smaller is good sometimes and all I can say is that I hope studios get a little bit smarter in what they sign off on because audiences aren't stupid (not all of them anyway) and they're going to get tired of being fed the same thing over and over again eventually. Box office report: Both X-Men: Apocalypse and Alice Through the Looking Glass disappointed their parent studios last week (one not as much as the other obviously) and this week is looking no different. Teenage Mutant Ninja Turtles: Out of the Shadows won the weekend with $35.3 million, but that's pretty off from the $65.6 that the original 2014 Teenage Mutant Ninja Turtles made in its opening weekend. Meanwhile, X-Men: Apocalypse did nothing to really disapprove that it's under-performing with $22.3 million this weekend. Newcomer Me Before You almost managed to almost cover its entire budget with a healthy $18.3 million. The surprise of the week was Popstar: Never Stop Never Stopping, which only drummed up $4.6 million from 2,311 theatres. That's not going to hurt a low budget mockumentary ($21 million) too much, but it better hope to be embraced by the home video/streaming market. Video of the week: Guess most of the audience was scared away during this bizarre promotional event in Japan. Apologies for not having a WIWTW last week, but I was away on a much needed week-long vacation. I recharged my batteries, ate a lot of unhealthy food and got sunburnt so you could say that I had a great time. I was way out of Montreal (5 hour drive or so) and I had no internet and no TV even. It's a refreshing state of affairs honestly. I did manage to watch the odd movie on my laptop if I wasn't feeling too exhausted from all the hiking of the day though. So fear not, I do have some recaps to share. Anyway, so this week's WIWTW covers two weeks worth of movies even if you'd think it only looks like a typical week for me. We'll be back to how things usually are next week. Box office report: In a rare head-to-head match up between two blockbusters opening on the same weekend, X-Men: Apocalypse came out victorious as Alice Through the Looking Glass took a tumble. Fox should be happy with the $65 million that X-Men made, but the reality is that it's a pretty significant reduction from the $110.5 million that X-Men: Days of Future Past made in its opening weekend. It'll be interesting to see the legs that this most recent Bryan Singer superhero movie has, but the international gross should help things quite a bit. Disney has had nothing but non-stop success for some time, so a misstep was inevitable. With only $28.1 million on a $170 million budget, it's not looking pretty for Alice. Just like X-Men though, the international box office is going to help immensely, but at this point it'll just be to staunch the bleeding. The Angry Birds took third place with $18.7 million and Captain America: Civil War added $15.1 million to its coffers for a fourth place finish. Video of the week: I seriously need to see this movie one day. So apparently there's a reboot of Ocean's Eleven that's in the works. However, instead of filling it with members of the Rat Pack or George Clooney's "Good Looking Actor Friends," this will be an all-women affair with Sandra Bullock already signed on and Jennifer Lawrence possibly joining in as well. This is a bad idea to me and it's not because I'm a sexist white male with privilege or whatever. One only has to look at the response that Sony's new Ghostbusters reboot has gotten and to me that should already raise some red flags. It's looking like it'll going to flop pretty hard to say the least, but I think that it's mainly because it looks plan bad. The real crux of the issue to me though is that I don't like the idea of studios taking successful franchises, replacing everybody with women and calling it a progressive move. It's not progressive at all. In fact, it's quite the opposite. Can't there be all-female projects that can stand on their own two feet instead of relying on properties that have already been established? That's progress and there's still a distinct lack of it in Hollywood today, but that's another discussion for another day. Box office report: Get used to seeing Captain America: Civil War because despite what you might think, this was only its second week in North American theatres and surprise surprise it followed up its initial $179.1 million with $72.6 million (59% drop). Very solid numbers for Disney. Not to mention that The Jungle Book is still around at the number 2 spot with $17.8 million. The number 3 spot belongs to the Jodie Foster-helmed Money Monster which stars George Clooney and Julia Roberts. With $15 million, it should be able to be profitable by the end of its run, but no one can really say that it's a home run either. Video of the week: One of my favourite James Bond openers of all time. Besides watching a lot of movies, I'd definitely categorize myself as a gamer which is why I always hope for there to be a successful video game adaptation. Most people would agree that we're still waiting for that killer adaptation but in mind, I have no doubt that it will happen one day. Why? Just look at comic book films. Did anyone truly think that there'd be movies like Spider-Man 2 or The Dark Knight during the 40's when people were used to seeing serials like Adventures of Captain Marvel or Captain America? I mean it took almost 40 years before audiences finally got the Richard Donner Superman. Even that seemed like a blip until Tim Burton made Batman a thing before it all spectacularly crashed and burned with Batman & Robin. Although I think we may have no passed the peak of the superhero genre, we're still waiting for that peak for the video game adaptation. Will it be Duncan Jones' Warcraft that breaks the curse? Will it be Assassin's Creed with Michael Fassbender leading the charge? I don't know but I truly think that video game audiences will be able to breathe a sigh of relief one of these days. Video games are too big an industry to ignore ($10.5 billion in 2009) and it's about time film studios get things right. Box office report: Summer is officially here it would seem with Captain America: Civil War punching its way to a $181.8 million opening weekend. It's already got a whopping $496.6 million internationally which makes for a grand total of $678 million. It'll be a billion before too long. Disney is going to become one fat cat (if it isn't already) with the #2 film as well which is The Jungle Book. $21.9 million in its fourth weekend is nothing to sneeze at. The real surprise however is Garry Marshall's Mother's Day keeping its head above water with $9 million this weekend after having opened to $8.4 million. It's not enough to give Garry Marshall the reigns to another holiday ensemble movie right? I certainly hope not. I can't help but think that most production studios wished that they were Disney. With Pixar, Marvel and LucasFilm under their umbrella, who can even hope to compete? Very few movies in Hollywood are ever sure things, but I think it's fair to say that most of the movies that Disney and the studios it owns put out are the closest to being sure things in the entire industry. But seriously though, if The Jungle Book is any indication, Disney has a boatload of properties to draw upon without having to pull their hair out. We all know that studios hate risk and they love money and TJB is like the perfect marriage of that. Enough time has gone by for people to be open to a live action re-imagining of the 1967 animated Disney version and there's definitely interest in seeing just what exactly a live action re-imaging would be like. With the right amount of curiosity and positive word-of-mouth, Disney has succeeded spectacularly with The Jungle Book and the rest of these re-imaginings are definitely sitting pretty unless someone screws up big time. Box office report: Disney's The Jungle Book had no trouble in retaining its #1 spot and has added an additional $42 million to its coffers. Worldwide, it's now sitting at $684 million and it doesn't look like it has run out of steam just yet. The #2 slot went to The Huntsman: Winter’s War with $9.4 million and there's no doubt Universal wishes it could go back in time and erase it from existence. To make things worse, the John Wick spoof Keanu was just a smidge behind at $9.35 million which isn't too bad since its budget is only $15 million. It's Mother's Day that severely crashed and burned and I can't say that I'm unhappy about that. With only $8.3 million, I hope it spells an end to the endless Garry Marshall holiday-themed anthologies. Is Warcraft the movie heading towards disaster? It certainly looks that way to me if you take a peek at reactions around the internet and I can't really blame these anonymous internet users given what I've seen from the trailers. I really respect director Duncan Jones a lot and from what I can see, he's done everything in his power to make Warcraft not just a good video game adaptation but a good movie. With such a huge fanbase (during the peak of World of Warcraft, there were 12 million subscribers), you can bet that there are some massive expectations and I don't they're going to be met unfortunately. Probably even more problematic is that I'm not convinced that the marketing has succeeded in pulling in non-fans (which I kind of consider myself to be given my "respect at a distance" with the video game franchise). Look, I never usually wish for a movie to fail (unless given a good reason). Warcraft just might surprise everybody and pull a rabbit out of its hat, but I have a hard time believing that will happen which is a real shame for those who wanted a good sword and magic fantasy movie which is a genre that hasn't had any real hard hitters for a while. This whole situation feels like John Carter to me. Box office report: Disney's The Jungle Book is still the king and it did so quite spectacularly. With $60.8 million in its second weekend, that's a mere 41% off its opening which is very good. It's already at $500+ worldwide. For newcomer The Huntsman: Winter's War, things were a lot less rosy. $20 million is on the lower end of predictions and it's got some ground to make up if it wants to break even on its $115 million budget. Video of the week: Godzilla's atomic breath over the years. Believe it or not, I actually do watch some TV shows when I'm able to squeeze them in. It's safe to say that I do not binge watch episodes though since there just isn't the time with all the movies I watch. Still, I've been slowly working my way through HBO's Tales from the Crypt and I've been re-watching Trailer Park Boys for the umpteenth time since I'm trying to finally catch up and see the new seasons that have been coming out. That's why I have a couple of TPB-related movies that I saw this week. Anyway, TPB needs no introduction these days after hitting it big on a deal with Netflix, but I'd definitely like to give a shout out to Tales from the Crypt. It's a great horror anthology series with a lot of production value put into every episode. I'm at season six which has the odd stale episode at this point, but there's still some great stuff that's worth seeing. If you like your horror blended with a bit of comedy, I can't think of too many better options. Anyway, enough about TV now. Box office report: Batman v Superman: Dawn of Justice isn't the only movie able to make some serious coin despite bad critic reviews and negative word-of-mouth. With $23.5 million in its opening weekend, the Melissa McCarthy-lead The Boss claimed the top spot and will more than likely be able to break even by the end of next weekend. BvS only lost by a couple hundred thousand dollars, making $23.4 million this time around. That's a 54.3% drop from weekend #2 for those wondering. Zootopia took the #3 spot with $14.5 million and My Big Fat Greek Wedding 2 rounded out the top 4 with $6.4 million. Video of the week: Do I really need to say it? I didn't have a lot of time this week for movies unfortunately which is why I was mostly stuck watching shorter films. In fact, the average runtime for all my movies this week is 68 minutes which isn't too impressive now is it? It's also pretty amusing how I had a serious Maggie Smith and Kristin Scott Thomas week. They starred in two of the movies I saw, that being Keeping Mum and My Old Lady (KM is the better one). Box office report: Yes yes, Zootopia is still on top as box office champ of the weekend with a $50 million second weekend. No surprise there. What's truly impressive however is the success of 10 Cloverfield Lane which took off with $25.2 million, most likely due to a successful marketing campaign. With only $13 million in production costs, it's all green from here on out for Paramount which is some well needed good news for the struggling studio. Despite a memorable appearance at the Academy Awards as Ali G, the Sacha Baron Cohen comedy vehicle The Brothers Grimsby flopped pretty hard with only $3.2 million on a budget of $35 million. Might be time for an Ali G/Borat sequel at this point. One Direction's Harry Styles casted in Christopher Nolan's upcoming Dunkirk? OK... @Yahoo! Video of the week: Here's a compilation of 10 awful CGI moments in big Hollywood blockbuster movies. Yikes, that's a lot of red. And yes, I got absolutely clobbered by my girlfriend who somehow managed to get 14 categories right to my 8. Clearly I made some ill-advised dark horse choices like Anomalisa (I'll never bet against Pixar again) and clearly I shouldn't ever think that Roger Deakins will win an Oscar for Best Cinematography despite his now 13 nominations. Should have put all my chips on Mad Max clearly. Box office report: So how well did Disney's Zootopia do? $73.7 million well to be exact. It now holds the title for biggest animation debut for a Disney animated film (overtaking Frozen's $67.4 million). No doubt it'll have some solid legs as well which should make Disney accountants pretty happy. Gerard Butler can breathe a little easier after Gods of Egypt flopped since London Has Fallen took the #2 spot with $21.5 million. Sure that falls below the $30 million debut of Olympus Has Fallen, but the budget is a mid-sized $60 million which should be easy enough to break even on, especially if we include foreign takes. Deadpool mania finally cooled a bit, but $16.4 million is still pretty good for a fourth weekend. Tina Fey and Whiskey Tango Foxtrot weren't as lucky unfortunately with only $7.6 million for the weekend. Video of the week: If it's possible that Donald Trump could potentially be president of the United States, it should shock absolutely no one that there's an upcoming Halloween-themed Madea movie.